I stumbled upon Michelle Tavares’ Etsy shop Calamari Studio today. I’m in completely in love with her dreamlike circular prints. Tavares is a freelance illustrator based in Augusta, GA and features DIY projects and her inspirations on her blog. I love her idea of transforming heavily filtered photos into motivational (and inspirational) prints; they’re pretty creative yet simple with textured backgrounds. 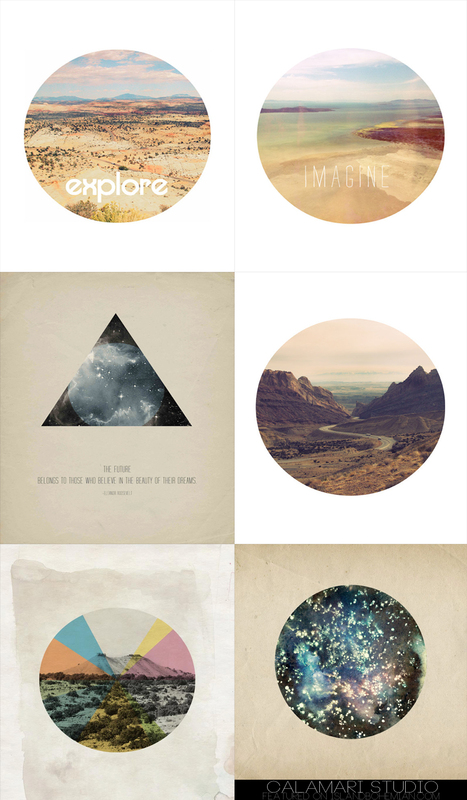 I’m thinking of creating something similar, but maybe with island-centric photos. We’ll see if I can find some time between work and sleep. What kind of an art is this? It’s amazing! They are amazing! I’m sure she took photos and edited them with Illustrator. She’s selling them on Etsy!